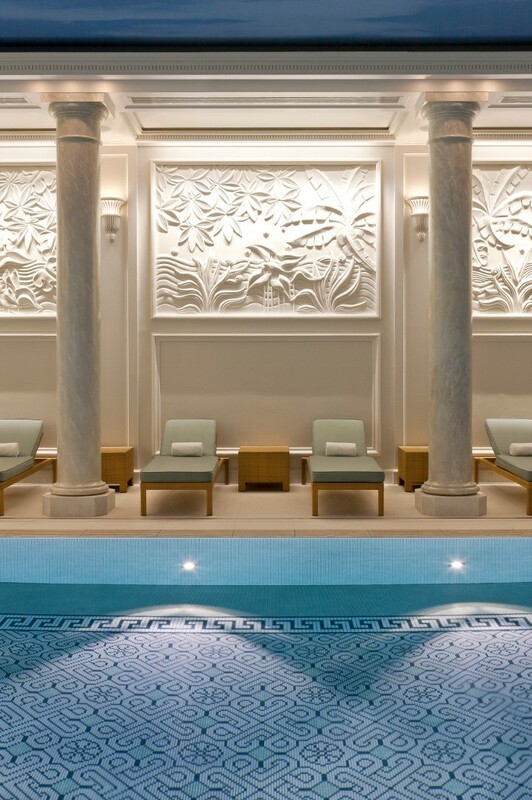 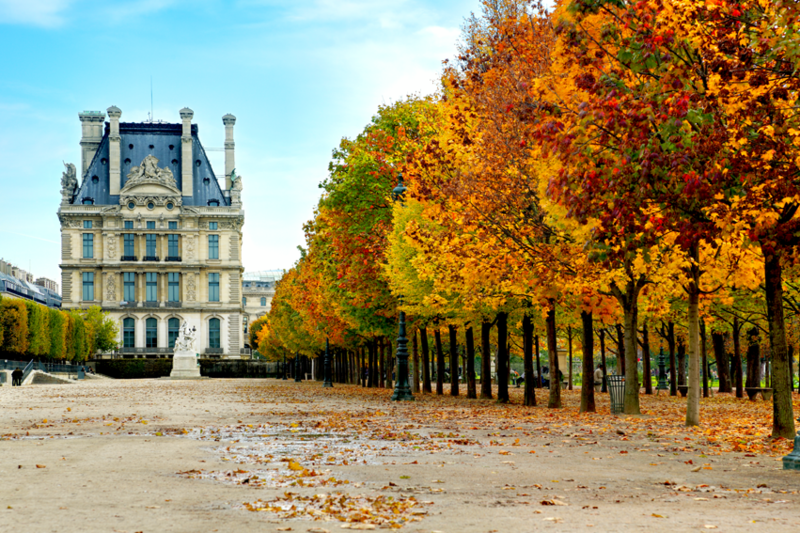 With 81 rooms and suites, three restaurants, one Bar and four events and reception rooms, Shangri-La Hotel, Paris cultivates a warm and authentic ambience, drawing the best from two cultures: the Asian art of hospitality and the French art of living. 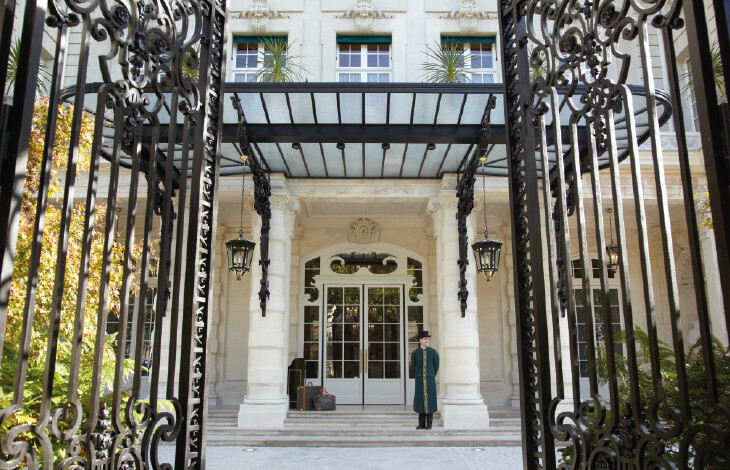 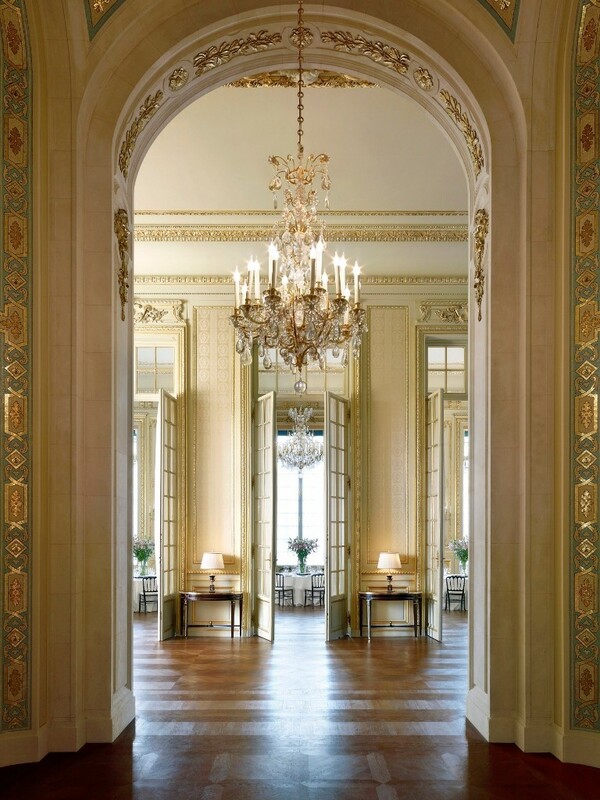 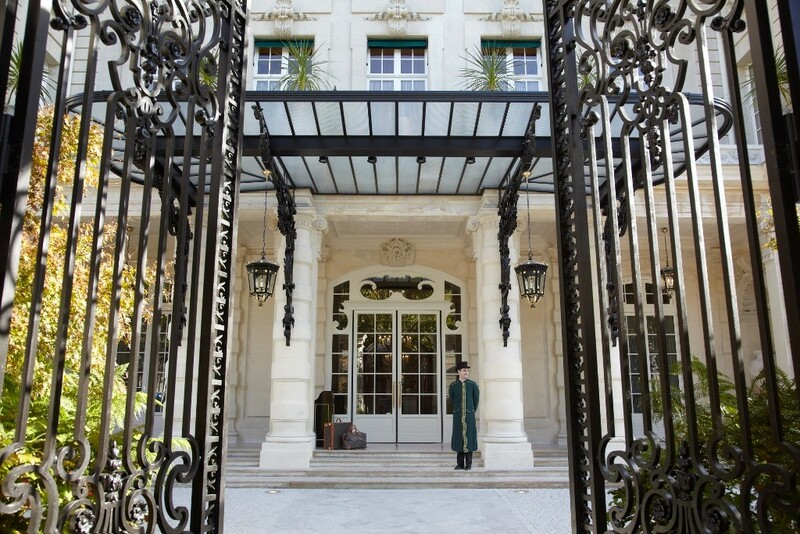 Today, the palace at 10 avenue d’Iéna has once again become an address for Paris’ chic and cultured set, just as it was more than a century ago. 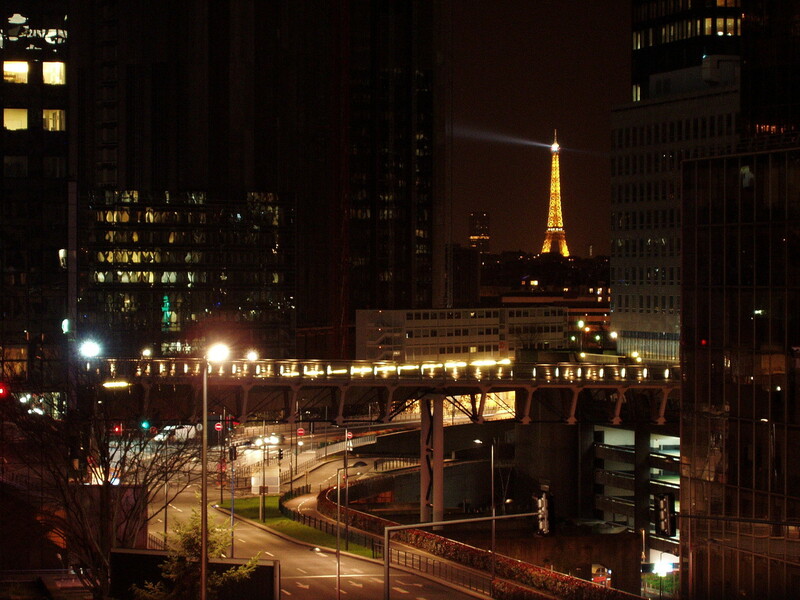 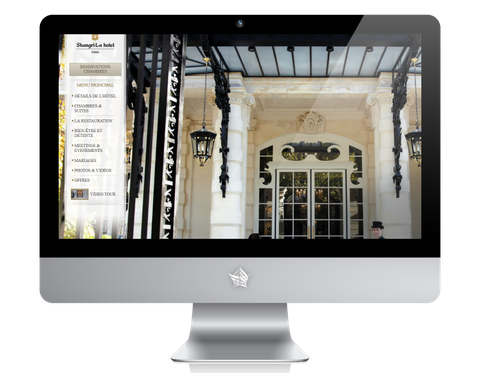 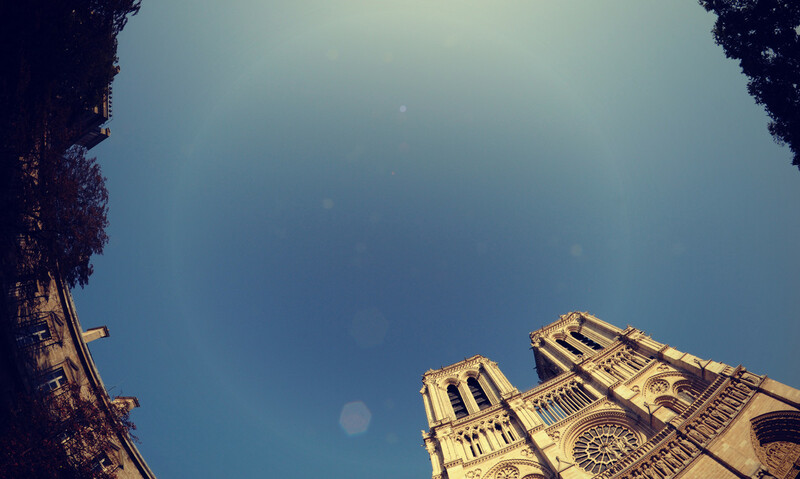 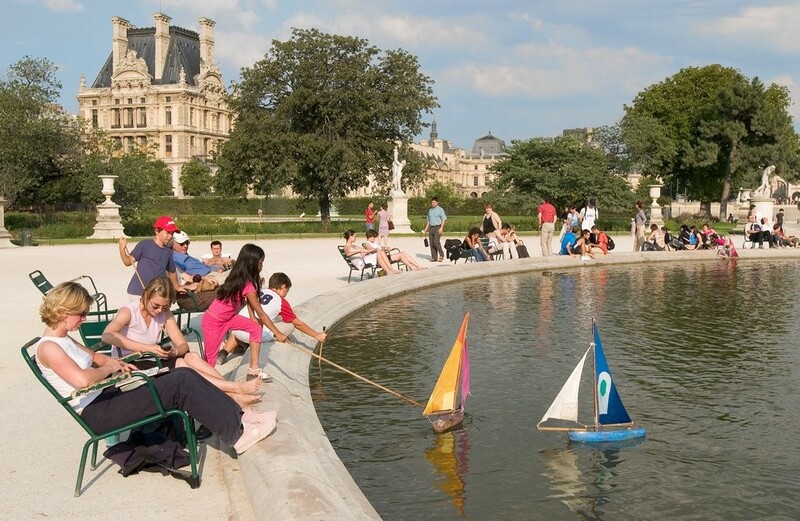 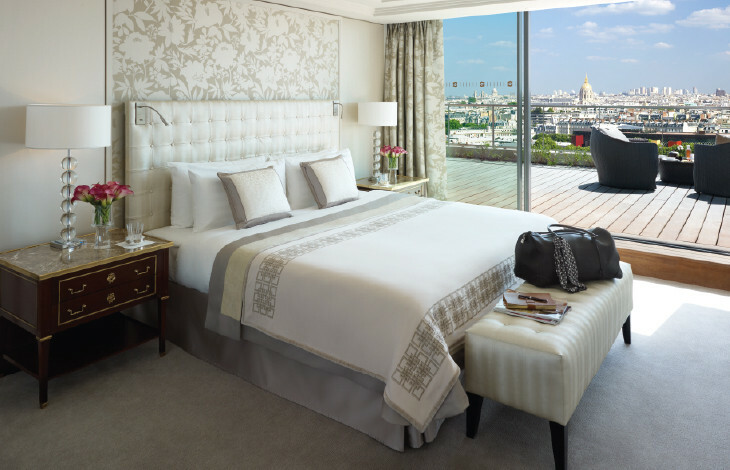 Nestled in the refined, residential 16th arrondissement between the Place des Etats-Unis, Place d’Iéna and the iconic Trocadero high on Chaillot Hill, the hotel is located across the Seine from the Eiffel Tower. 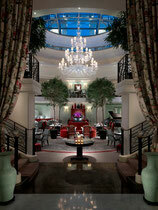 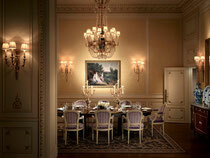 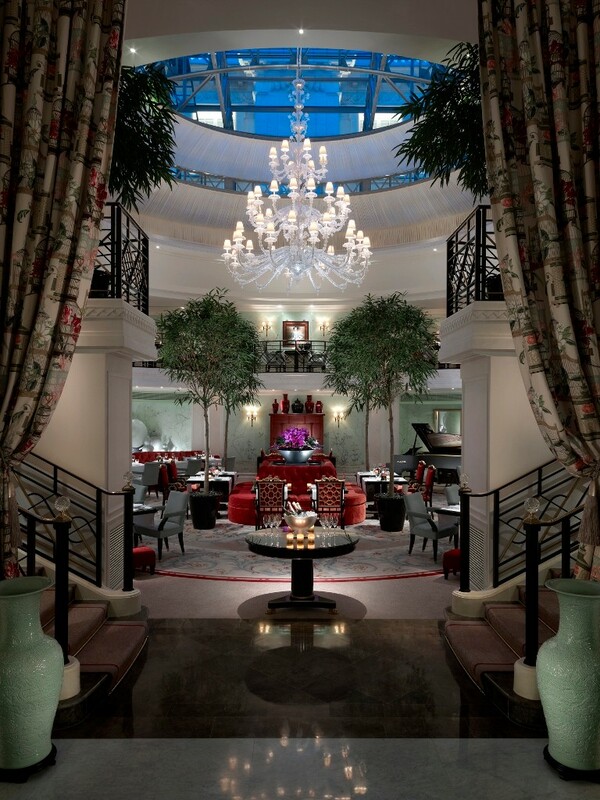 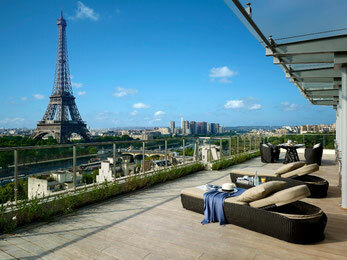 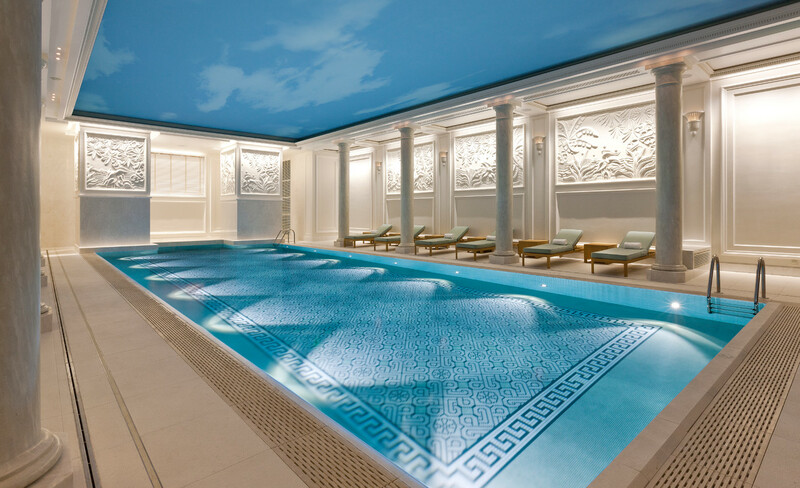 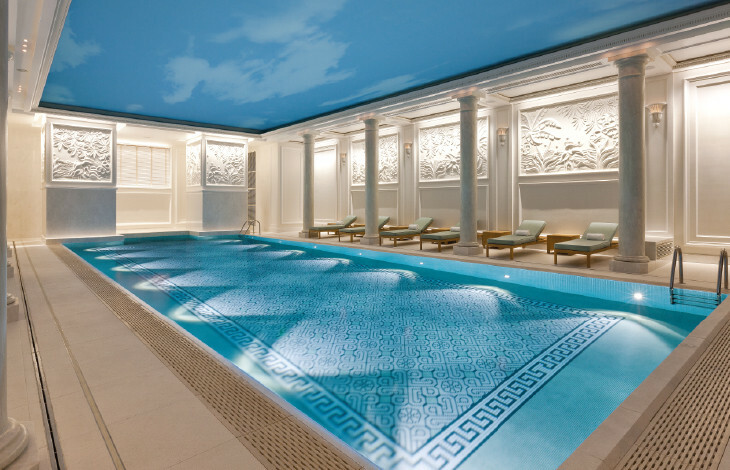 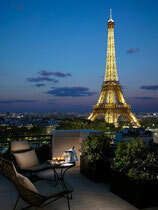 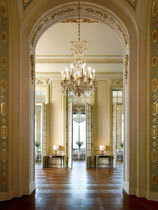 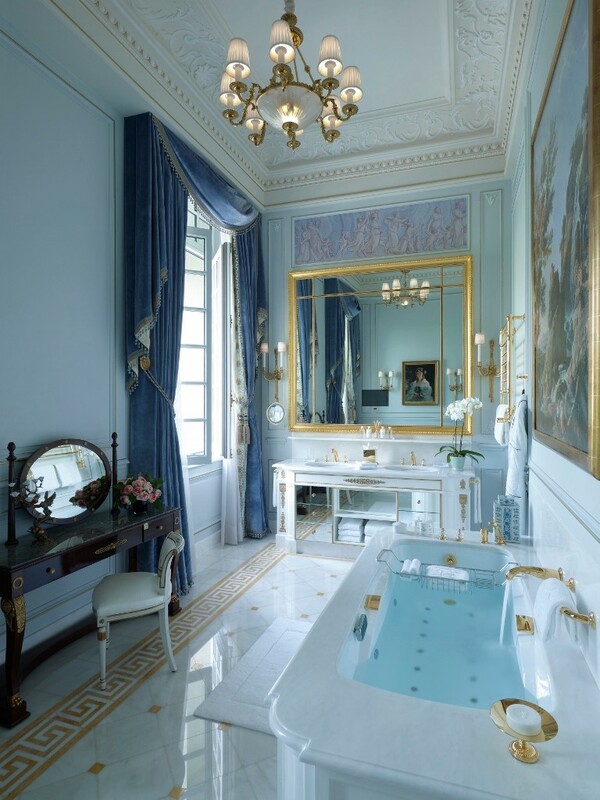 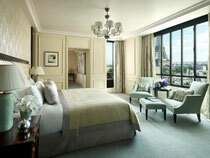 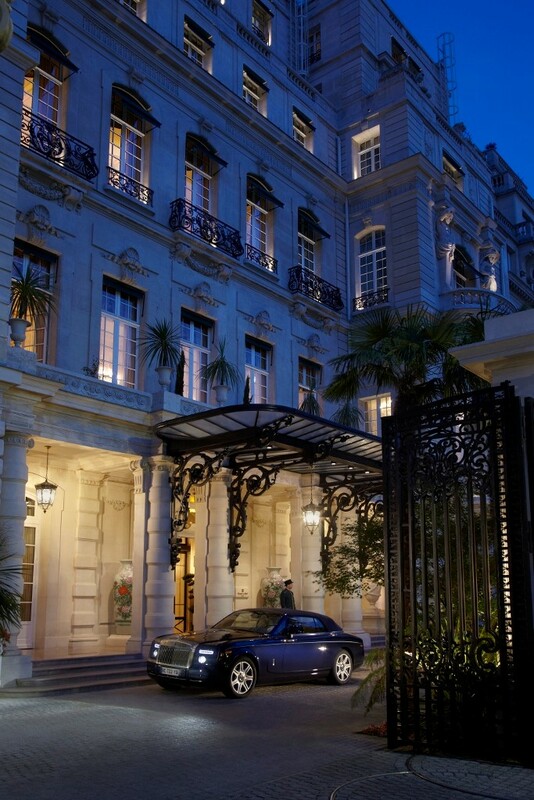 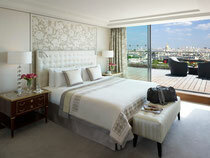 Shangri-La Hotel, Paris offers 81 rooms including 27 suites. 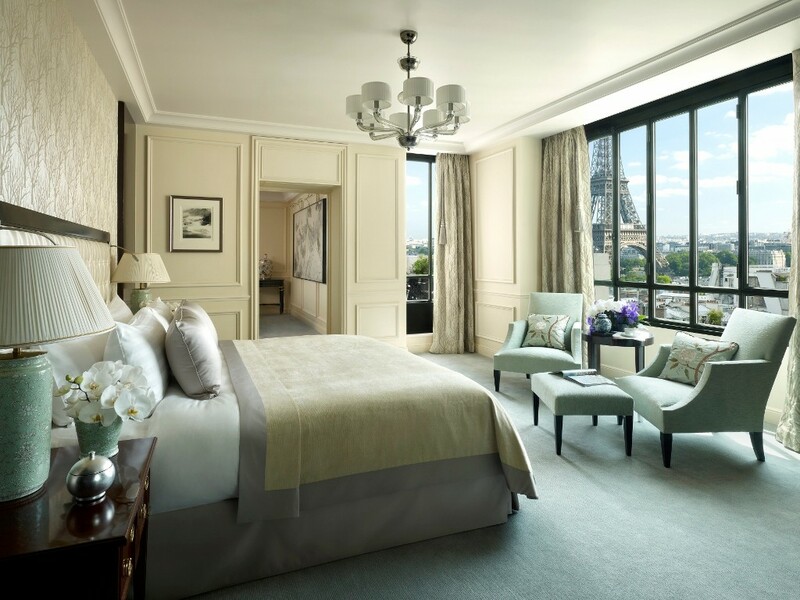 As with the rest of the hotel, Richard Martinet directed the architectural renovations and Pierre-Yves Rochon designed the interior style – at times “Empire,” at times “Luxury minimalist,” at times a stunning mix of both. South-facing and bathed in natural light, 40 per cent of the rooms and 60 per cent of the suites feature a breathtaking, direct view of the Eiffel Tower and the Seine. 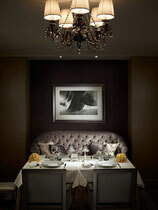 The majority of rooms and suites are large enough and equipped to entertain friends, family or business partners. 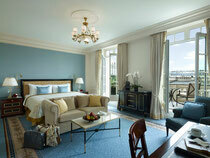 Nearly half of the rooms and suites feature a private balcony. 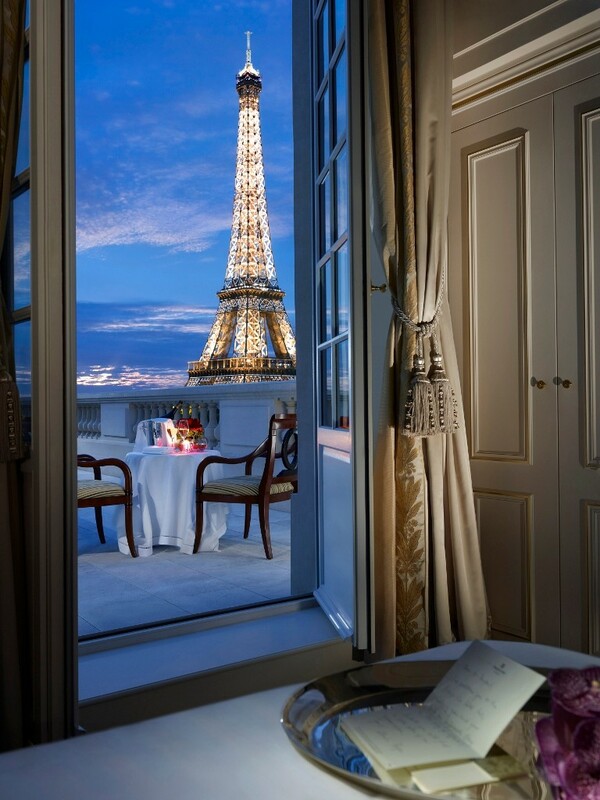 The Historical Function Rooms were painstakingly restored to their former glory and our now labeled "Monuments Historiques"
Perched on the top floor of the hotel, which was added to the building in 1966, The Suite Shangri-La’s modern architecture is balanced with classic French furnishings. 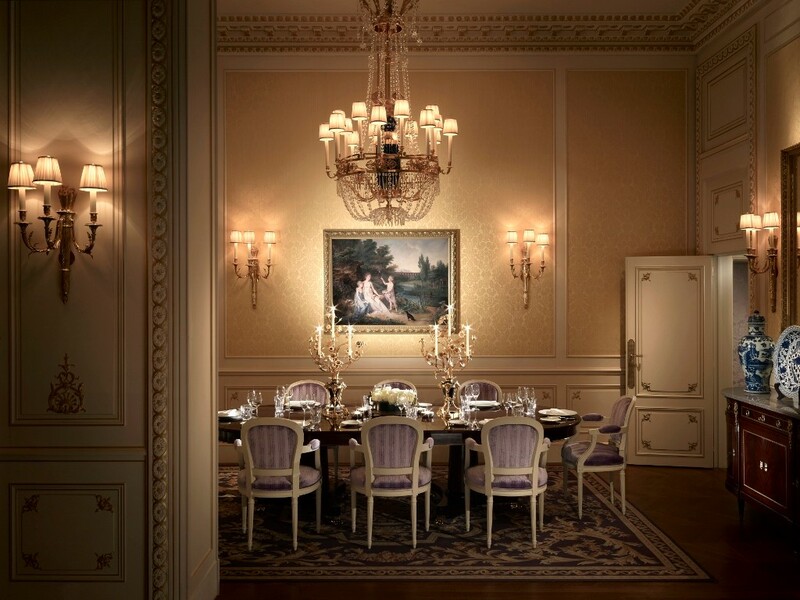 Pierre-Yves Rochon blended the Directoire (1795-1799) and Empire (1803-1821) styles, complemented with elegant Asian touches throughout. 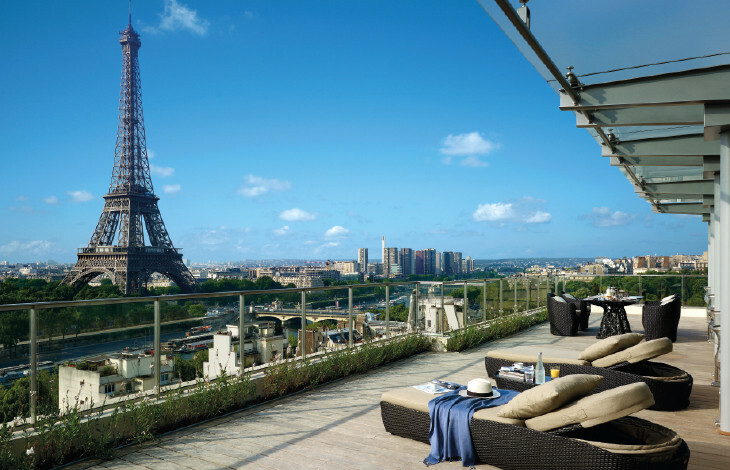 With a total of 225-square-metres (2,420-square-feet) of living space, the suite’s spacious 100-square-metre (1,076-square-foot) terrace offers a sweeping panoramic view over the city. 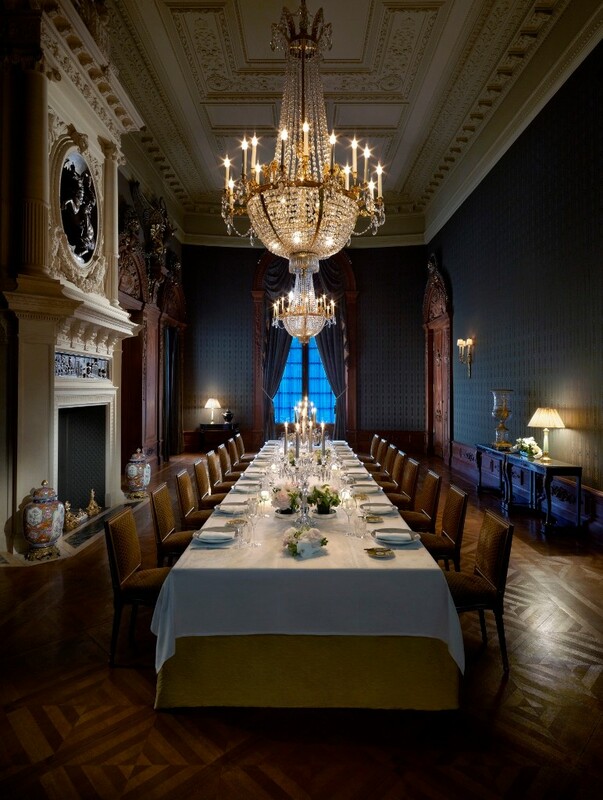 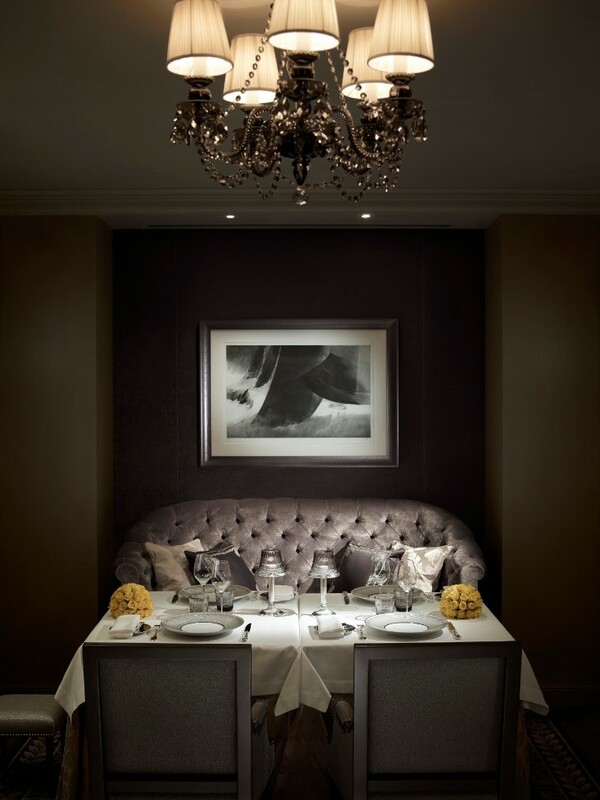 Guests can host private events in the suite’s 65-square-metres (700-square-feet) of living and dining space, where a dining table can hold up to eight guests. 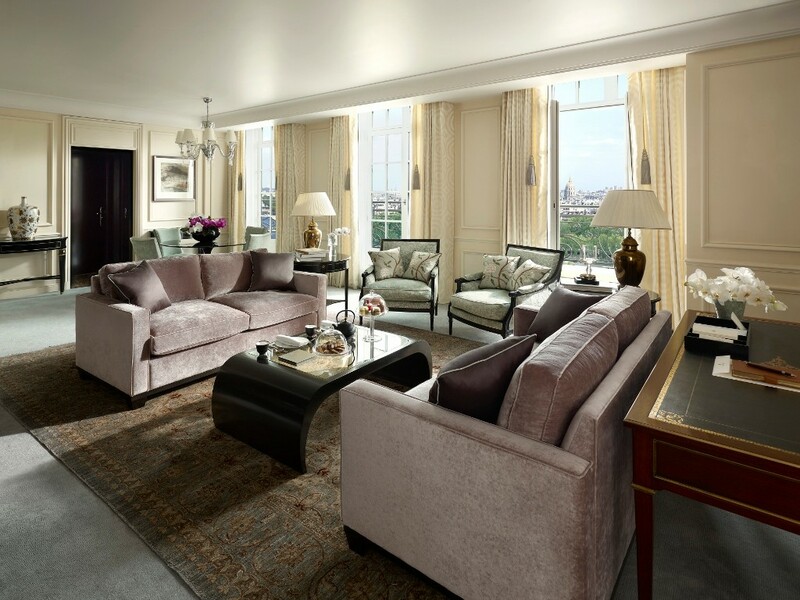 The Suite Shangri-La can also be connected to create a private “apartment” spanning the entire seventh floor, with four bedrooms and a total living space of 500-square-metres (5,382-square-feet). 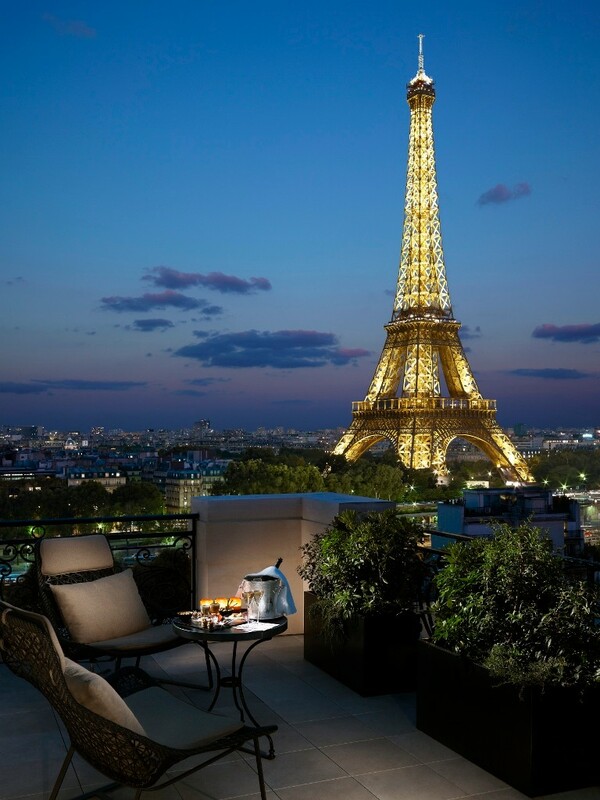 The breathtaking vantage point offers a bird’s-eye view of Paris’ most iconic sights, from Montmartre’s Sacré Coeur to the Trocadero, passing over the Grand Palais, Notre Dame, the Alexandre III bridge, the Pantheon, the Invalides (Napoleon’s Tomb), the Quai Branly and, of course the most famous of all, the Eiffel Tower and the River Seine. 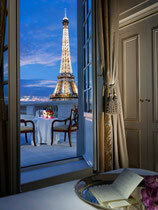 The suite looks down on to Gustave Eiffel’s former home and directly on to the first level of the Eiffel Tower. 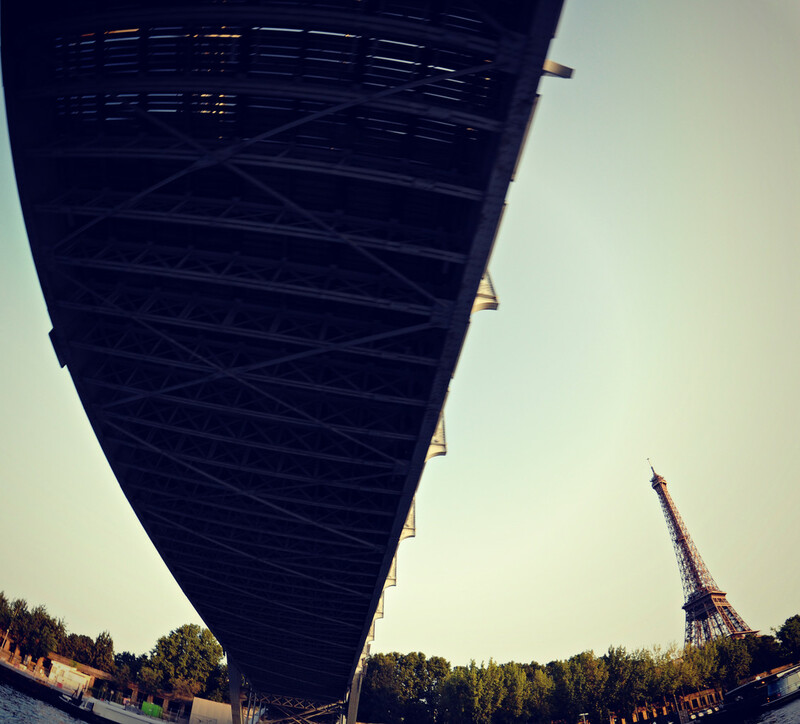 This unobstructed view is thanks to the visionary engineer’s efforts to prohibit high-rise construction around his tower.